Recurring Campaigns are set to deliver on a recurring basis, keeping the same design, but delivering new content with each send. Recurring Campaigns help you to automate campaign sending but keep content fresh through data feeds. For example, you could set up a recurring weekly newsletter populated with content from a data feed, automating the campaign building and sending process, allowing you to spend less time building emails and more time on content and strategy. You can further curate each send using Recommendation Manager–locking key content items in place for all users while allowing Sailthru to personalize the other content to each user’s interests. 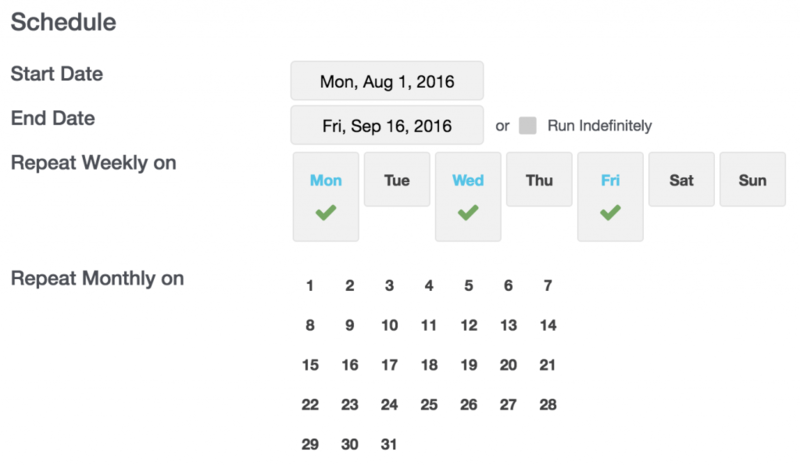 Recurring campaigns can also send to a different set of users each time, if you set them to use a dynamic Smart List. For example, you could create a static Happy Birthday email that sends each day to a Smart List of users whose birthday is ‘today’, or a follow-up campaign sent daily to all users who made a purchase ‘one week ago’. Select the Recurring campaign type. NOTE: For more information on creating a new campaign, see the Campaigns Overview page. After creating your new campaign and choosing the Recurring Campaign type, you’ll see the menu on the left in My Sailthru which will guide you through next steps. You can always move from section to section if you need to add information in a different order. Use the links below to jump to each section on this page. You will choose the audience for your email by setting Your Target Audience and, optionally, Your Suppressed Audience. Sailthru allows you to have multiple suppression lists if needed to exclude subsets of the target audience. Please reach out to your Customer Success Manager to enable this feature. In this section of My Sailthru the basic information such as the From Name, Email Subject and Reply-To Email are populated based on the template you choose for your recurring campaign. You will not be able to edit the Basic information. The Data Feed and/or Ad Plan are also populated from the template. Only the Data Feed can be edited for each recurring campaign. On the Configure page, you are required to choose your Template from the drop down menu. For more information on building templates, see the Template Overview documentation pages. To insert a unique, single-use promotion code in each message, configure a Promotion, then select the name of this promotion from the drop-down. Recurring Campaigns will generate a Regular Campaign for each send. You cannot directly modify the code or content in the Recurring Campaign. You can either modify the template before the campaign is generated, or modify the code directly in the Regular Campaigns as they are generated. When viewing the Design page in a Recurring Campaign, the HTML view is hidden by default. 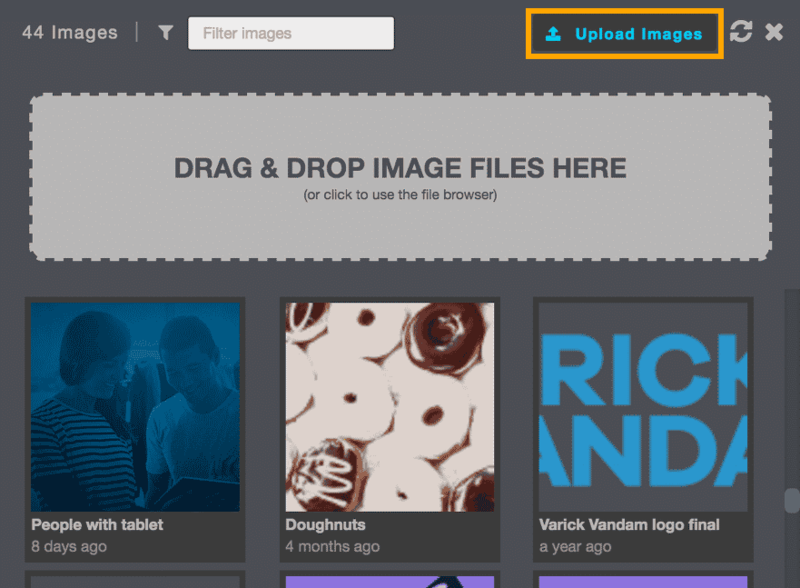 You can modify the HTML in your chosen Template as needed and use the preview window to view and test your content. Click Test Send to quickly send a test email. You will then be prompted to enter the test email address. The Zephyr Setup section will run once for every recipient before their email is sent allowing you to prepare and manage user data, feed content, etc., prior to generation of the message body. This is especially useful for preparing dynamic email, where content differs per user.. See the Using Zephyr section below for more information. For Regular Campaigns, you can use HTML to create static data, and Zephyr for dynamic information. 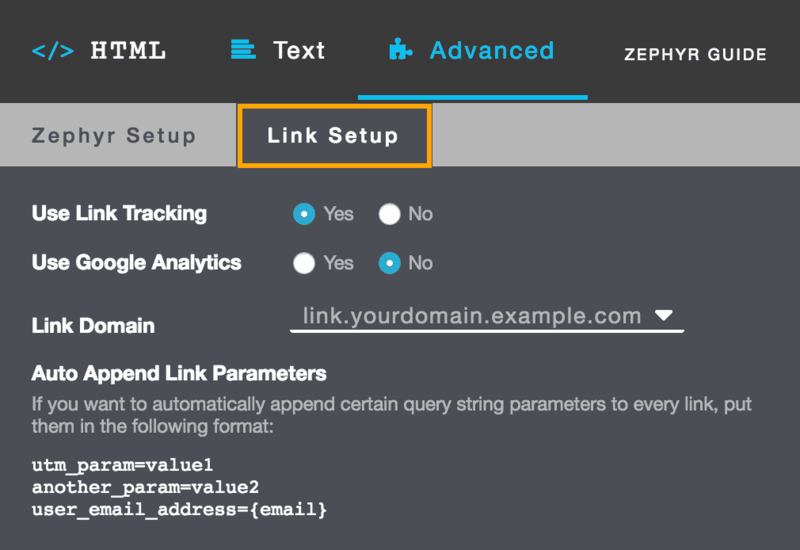 Zephyr is Sailthru’s coding language used in email subject lines and campaign Templates to increase customization. For example, Zephyr is used to incorporate data feeds to populate the template with your latest content and to call variables associated with user’s profiles, such as their geolocation to ensure relevancy for each recipient of the email. When and how your email will send is critical in getting a response from your audience. There are multiple options that let you control the send date and time to reach your audience when your content is most relevant and valuable, including Personalized Send Time. Note: When an End Date is specified, no email is sent on that date. The recurring campaign is considered to have ended at 12:00 a.m. on the specified End Date. Set the Scheduled Time of day. Choose Personalized Send Time to optimize the open rate by sending emails to individuals when they are most likely to open based on their email open history. For example, if you choose to send your email starting at 9:00AM with a 16-hour send window, the email will be sent to each user at the time between 9:00 AM and 11:00 PM when they are most likely to open it within that window. This is based on the email-open history in their Sailthru profile. If you select Create this campaign in advance of send time, each send will appear in your Scheduled campaign list 1-20 hours prior to its send time. This offers you the opportunity to make edits to that send (including the subject, design code/text, or send time) without unscheduling the entire recurring campaign. 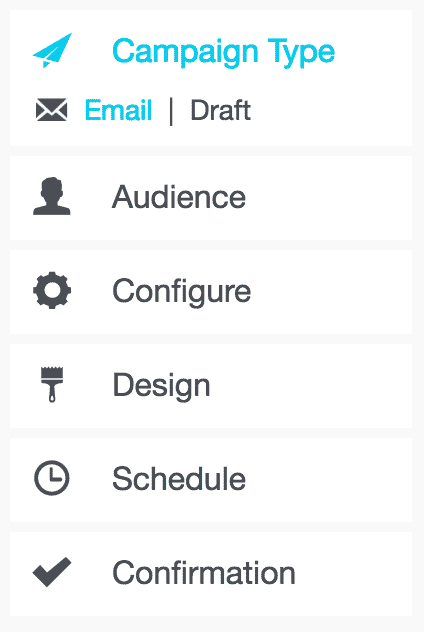 Even with this setting enabled, your campaign will still pull the latest email list and feed (if configured as dynamic; see below) at send time. NOTE: If you’re scheduling a campaign so that its first recurring send will occur within the next 20 hours, ensure that your advance creation time falls within that time span. For example, if it’s currently 1 p.m. and the campaign is configured to send for the first time today at 7 p.m., you have 6 hours until the send. Choose an advance creation time less than 6 hours. NOTE: To make changes once a campaign has been scheduled, you can pause the Recurring Campaign by visiting the Confirmation page and checking the unschedule box at the top of the page. 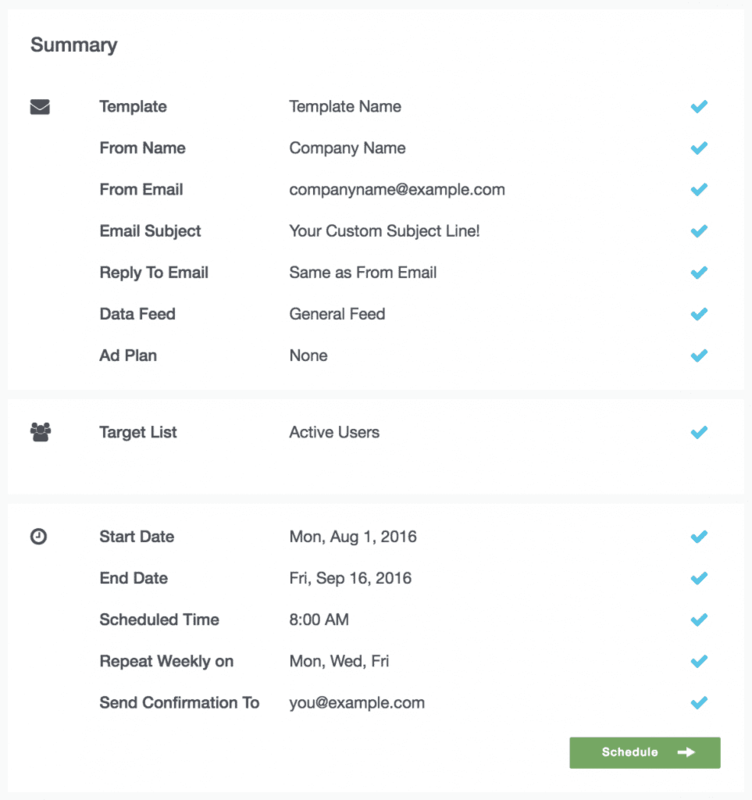 Data Feeds pull content into emails for a customizable end-user experience. Dynamic mode controls how data is pulled from the feed. Dynamic Templates pull Data Feeds at the campaign’s scheduled delivery time, so a Monday-morning send that you’ve created on the previous Friday will pull up-to-date data on Monday morning at send time. Static Templates pull Data Feeds at the time of the campaign’s creation. Enter the Confirmation email address that should receive a message when the campaign completes sending, including a statistic of the total email messages sent. To enter multiple addresses, separate them using commas. Enter the optional Seed Email(s) to which the campaign email itself should be sent, in addition to the campaign’s audience list(s). This is useful for confirming that your email is sending as expected. Each of this campaign’s sends will be sent to the listed seed email address(es) regardless of their opt-in status. If you already have any global seed emails set in your account settings, they will already receive each message. There is no need to include them again here, but no harm in doing so inadvertently. You can always return to edit any section of your campaign. For Recurring Campaigns the campaign must first be paused in order to edit if it is already live. If you need to adjust a setting once a campaign has begun sending, you can pause your campaign to do so. To pause a campaign that is currently sending, select the Sending folder, hover over the Campaign and hit the pause button.